aloft Rogers-Bentonville is a bold, fresh, and fun new hotel featuring loft-inspired design and always-abuzz public spaces. Perfectly positioned for an easy breezy travel experience at the busiest set of cities in Arkansas! Wal-Mart?s world headquarters are just up the road, and it?s a short drive to Tyson Foods, J.B. Hunt, and the John Q. Hammons Convention Center. But there are also plenty of places to play! Get your shopping fix at Pinnacle Hills Promenade minutes away, or explore the area?s great golf, lovely lakes, and state parks.Rise and shine in our bright and modern aloft rooms, featuring plush platform beds, oversize rainfall showers, custom amenities by Bliss? Spa and more. ?Recharge all your gadgets with the plug & play docking station, which also links your laptop or tunes to the 42? LCD TV. Meet and mingle at our w xyz(SM) bar, grab a snack at the 24/7 re:fuel by aloft(SM) gourmet pantry, or work and play at our re:mix(SM) lobby lounge. 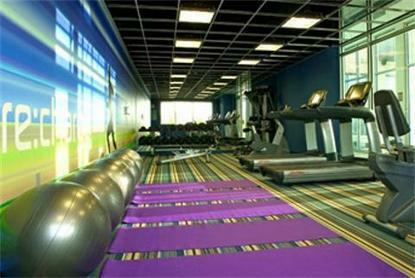 Plenty of perks include free hotel-wide Wi-Fi, our always-open re:charge(SM) gym, stylish splash pool, and more!